Donovan Surveyors, Inc. has been serving land owners and developers in New Jersey for over 50 years. 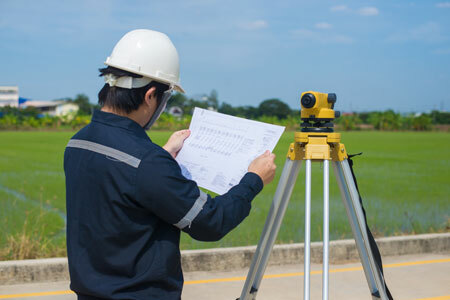 We work to quickly and thoroughly provide the land surveying data you need. Our scope of capabilities includes general land surveying, as well as mortgage, title, topography, flood and construction surveying. Contact us today with any questions you may have. Understanding the scope and features of your land is imperative in many situations. Whether you’re determining legal boundaries, staking for construction development or understanding the topographical features of a particular tract, Donovan Surveyors, Inc. here to help. We offer services in land surveying, including services specific to mortgage, title, topography, flood and construction surveying. As a complete surveyor in Stratford, NJ, you can count on us to provide you with accurate, reliable data regarding your land, in an expeditious and thorough manner. No matter the size or the features of the land in question, our team is ready to tackle the job to its fullest levels of completion. Our team has more than 50 years of professional experience in surveying and we’re well-known for being thorough in our approach. We are a state Licensed Land Surveyor and Planner. 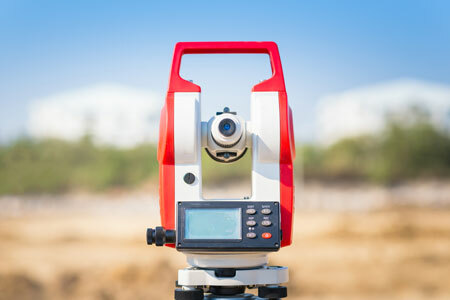 Our business is affiliated with the New Jersey Society of Professional Land Surveyors (NJSPLS) and the Surveyors Association of West Jersey (SAWJ). We offer our surveying services to clients throughout Stratford, NJ and the surrounding 60-mile cities and towns. Our services are available to residential customers, as well as land planners and developers. For boundary surveying, topographical mapping and more, turn to Donovan Surveyors, Inc. for comprehensive property evaluation and analysis. Schedule your appointment with us today.